Scallops are under-appreciated. I rarely buy scallops. Why? I really don't know. 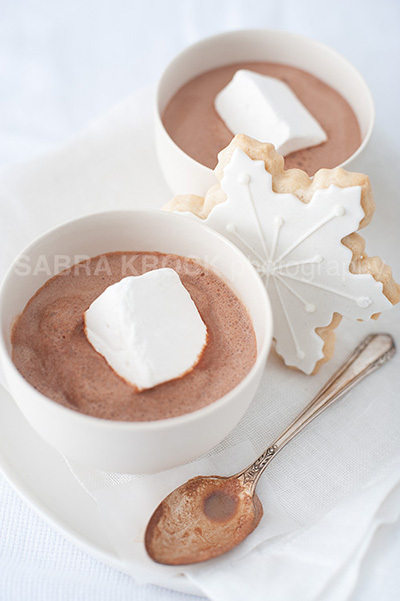 They are so quick, easy and versatile - they should be on my menu more often. Raw, they smell just like the sea with a touch of sweetness. They cook in minutes. They don't need much dressing. They have a wonderful, meaty texture. They're easy to portion. The trick is to avoid over cooking them by cooking them until they are just on the cusp of turning opaque, realizing that they will continue to cook off the heat. The other trick is to give them a nice sear by making sure they are completely dry before they hit the pan. One way to help this is to dust them lightly with Wondra flour. 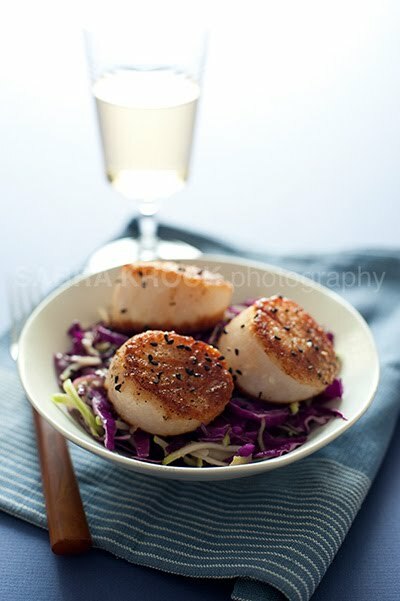 I made a wonderful, quick meal of seared scallops on top of a raw, shredded red cabbage and kohlrabi salad last week. I dressed the salad in olive oil and yuzu rice vinegar (one of my favorite dressings), and sprinkled some sea salt and freshly ground black pepper on the top along with some black sesame seeds. I put the scallops on top and drizzled a little more of the dressing on the scallops. Couldn't have been easier and it was crunchy, delightful and completely satisfying. Thinly slice cabbage and kohlrabi or shred in a food processor. Combine dressing ingredients and seasonings. Sprinkly with most of the black sesame seeds, reserving some for scallops. Lightly dress cabbage and kohlrabi. Portion among plates. Pat scallops dry. Dredge in Wondra flour. Season with salt and pepper. Heat olive oil to coat pan over medium-high heat. Sear scallops in batches on both sides until barely opaque (will take between 1 - 2 minutes per side depending on size and heat, watch closely). Remove from heat. Place 2-3 scallops on each plate. Sprinkle with black sesame seeds.